Secretary of State Rex Tillerson is hosting a meeting of the 68-member US-led coalition against Islamic State (IS, formerly ISIS/ISIL). The Washington, DC summit is the first meeting of the full coalition since December 2014. 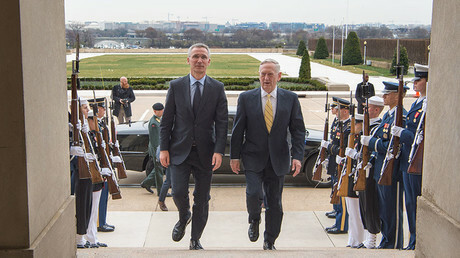 The top US diplomat said the coalition had made significant progress against the terrorist group, with the flow of foreign fighters into the region down by 90 percent and IS online content down by 75 percent. Turkey has pushed IS back from the border in Operation Euphrates Shield, while in Iraq, government forces and Kurdish Peshmerga are working together to liberate Mosul. “As a coalition, we’re not in the business of nation-building or reconstruction,” said Tillerson. The US is currently providing 75 percent of coalition military resources in support of local forces in Iraq and Syria, the secretary of state said, adding that for humanitarian efforts, the proportion is reversed. While the US will do its part, “circumstances on the ground require more from all of you,” Tillerson said. Coalition forces will remain on territories claimed by “fraudulent caliphate” to ensure stability, Tillerson said. While he gave no further details, any coalition military presence inside Syria is seen as unacceptable by the government in Damascus, which – unlike Baghdad – did not invite the US-led forces into the country. Tillerson also touched on the proposal to create “safe areas” in Syria, describing them as “interim zones of stability” that would be created through ceasefires to improve the safety of resident and displaced civilians. Beyond the battlefield, the coalition needs to focus on stamping out IS cells and online presence and denying the group the legitimacy it seeks, Tillerson said. 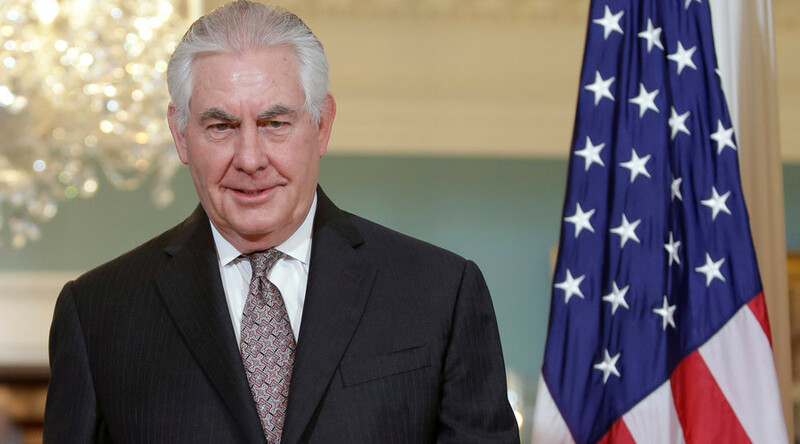 Tillerson urged the coalition members to overcome agency and national rivalries in order to share intelligence and cooperate with law enforcement’s counter-terrorism efforts. While the coalition’s “counter-messaging hubs” in the UK, the United Arab Emirates and Malaysia are making progress, Saudi Arabia and Egypt have an important role to play in hammering the “warped interpretation of Islam” championed by the group, said the US secretary of state. The Coalition’s foreign ministers are scheduled to discuss the priorities in the struggle against the terrorist group, from military efforts and the ongoing humanitarian crisis in Iraq and Syria to “counter-messaging and stabilization of liberated areas,” the State Department said in a statement.